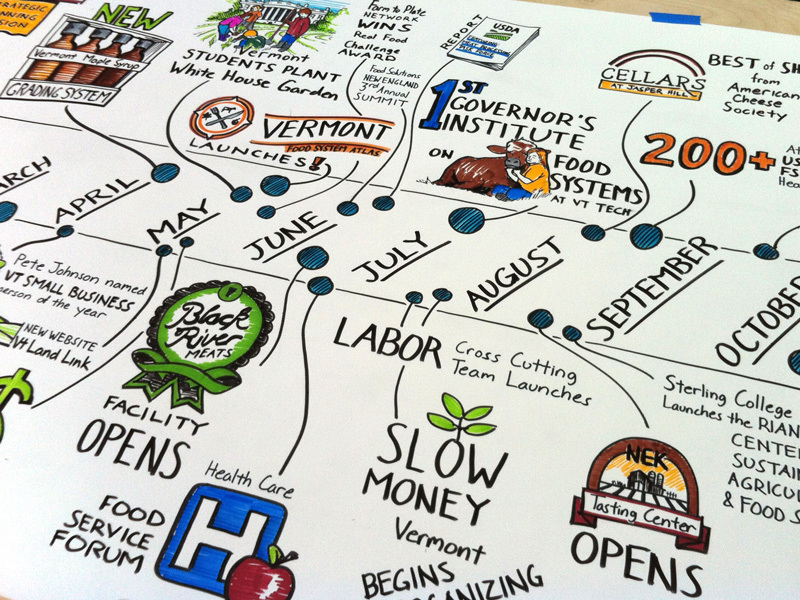 Vermont is a leader in the food revolution, and VSJF is a powerful catalyst. 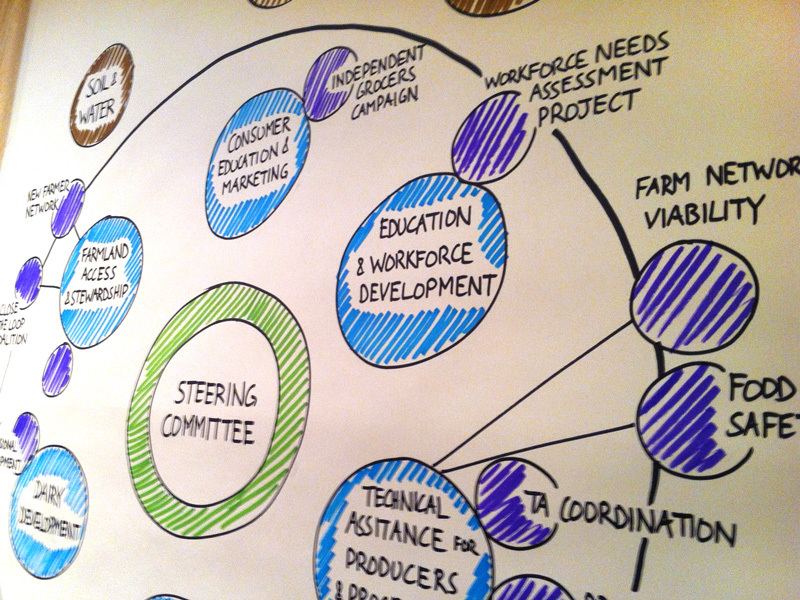 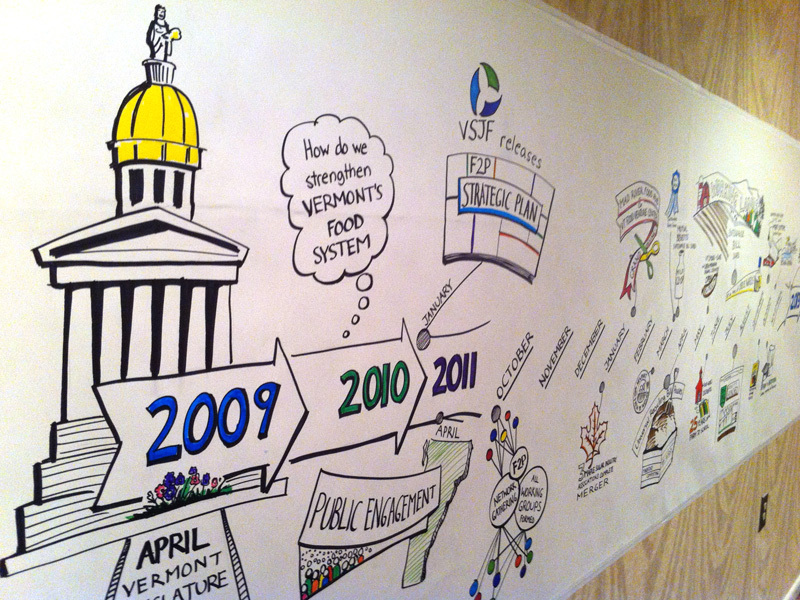 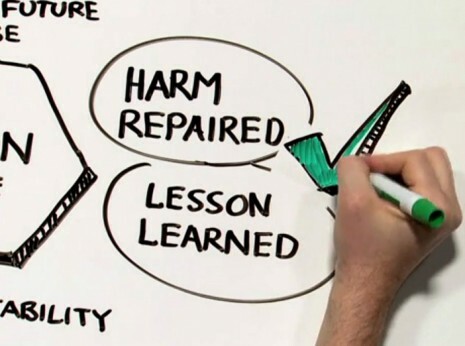 Our graphic facilitation for the organization has included two years (and counting!) 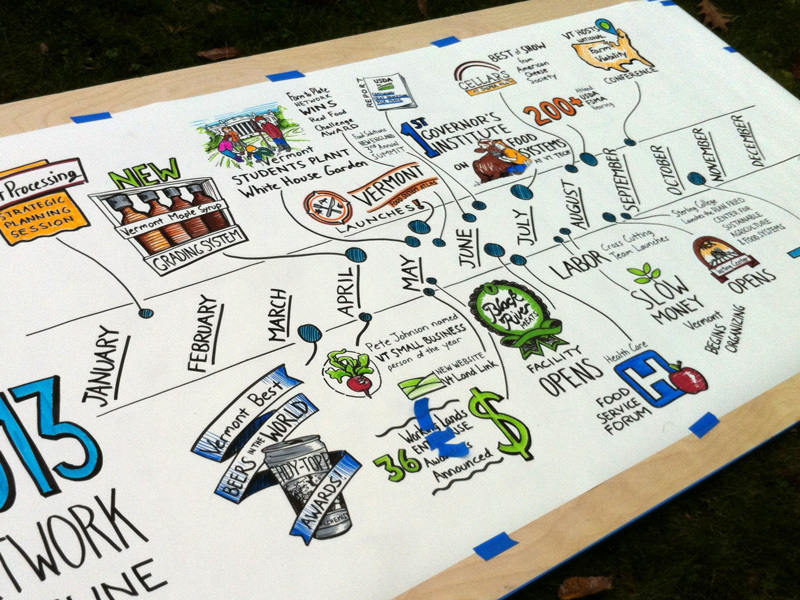 of large-format timelines, a simple visualization of complex issues and an iteration of the shape and scope of the farm to Plate Network. 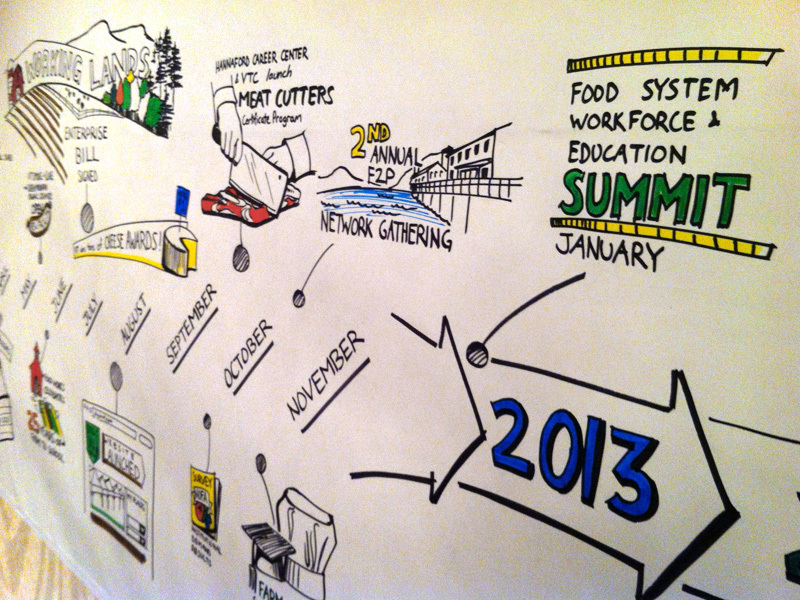 The Annual Gathering brings together the movers and shakers of job creation, greater economic output and increased access to healthy, fresh food. 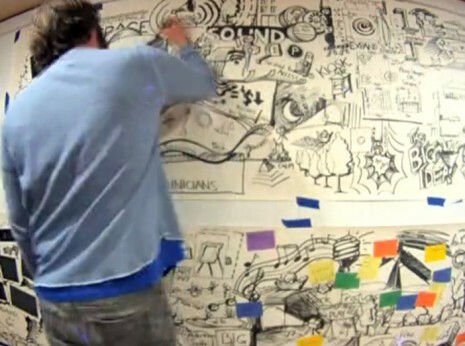 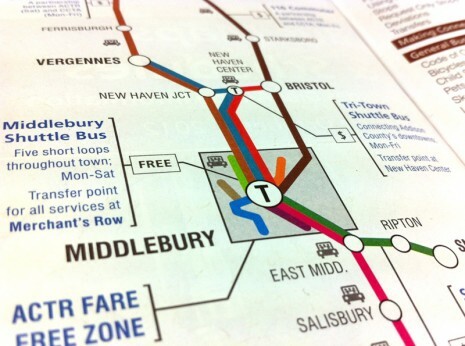 We collaborated with the VSJF team to create the drawings both on-site and in our studio. 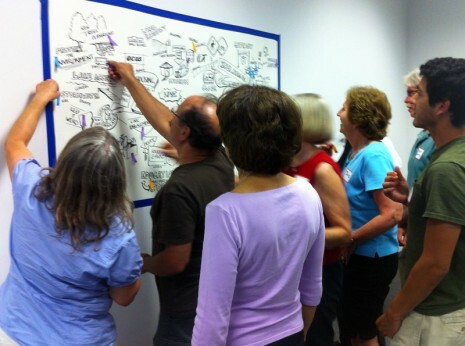 Event participants were invited to add to the timeline with their own milestones. 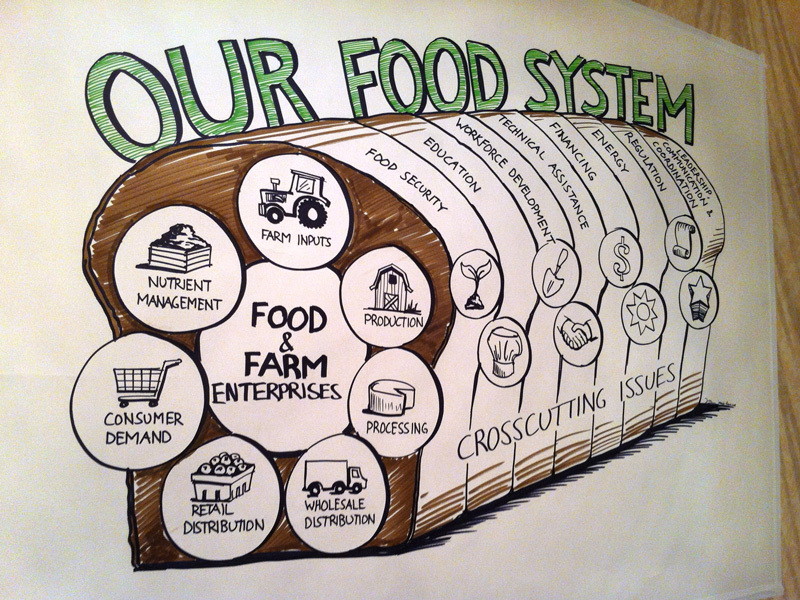 We also reinterpreted the food system (as food, of all things) and created a large scale version of the network diagram, helping participants visualize productive relationships.